When you are ready to get your BMW engine oil and filter replaced in Ballwin and you are searching “BMW oil change near me,” make sure you go to a local authorized BMW service center. From certified technicians to genuine BMW parts and service coupons, find out why a BMW dealer like BMW of West St Louis is the best place for your next oil change. BMW-certified technicians are well-versed in your model and will give your BMW the luxury treatment it deserves. An oil change may be covered on your BMW warranty. State-of-the-art facilities and high-end lounges while you wait for service. Genuine BMW parts like Original BMW Engine Oil to optimize performance and engine life. Designed, manufactured, and tested to keep your BMW car running at its full potential, Original BMW Engine Oil is the only choice you should be making for your engine oil. It protects the engine from sludge and dirt particles*, is ideal for performance at lower temperatures**, and can even improve fuel economy. Depending on your model and the area you live in, BMW oil change cost will vary, but it can sometimes cost over $100 for a luxury vehicle oil change. You can offset this cost at BMW of West St Louis with our Value Service as well as our rotating service specials. 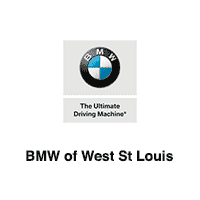 If you are ready for an oil change near Ladue or Des Peres, schedule service at BMW of West St Louis. You can also turn to us for more automotive tips, like how often to change your oil!